Listen on line - 24 Min. 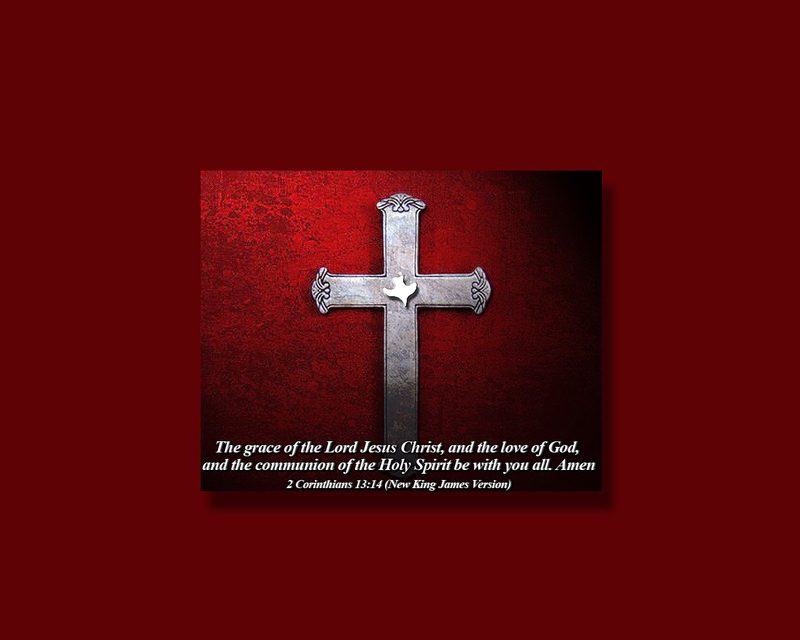 Banner for Email - Download the verse by right clicking on the picture and choosing save picture as and save it to your computer. 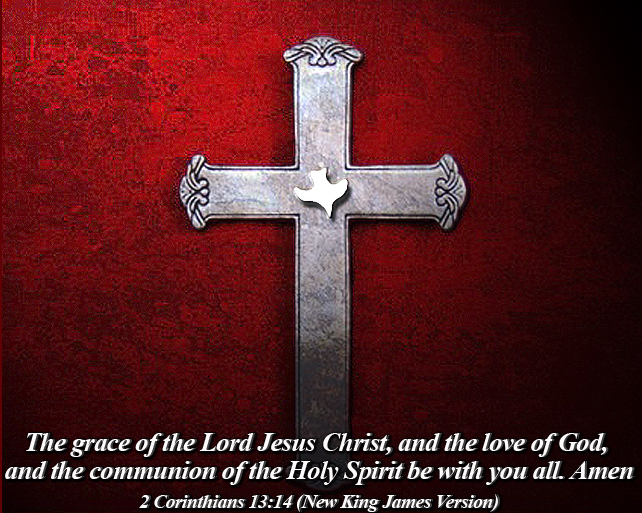 The grace (favor and spiritual blessing) of the Lord Jesus Christ and the love of God and the presence and fellowship (the communion and sharing together, and participation) in the Holy Spirit be with you all. The amazing grace of the Master, Jesus Christ, the extravagant love of God, the intimate friendship of the Holy Spirit, be with all of you. May the grace shown by the Lord Jesus Christ, and the love that God has given us, and the sharing of life brought about by the Holy Spirit be with you all. May you have loving-favor from our Lord Jesus Christ. May you have the love of God. May you be joined together by the Holy Spirit. 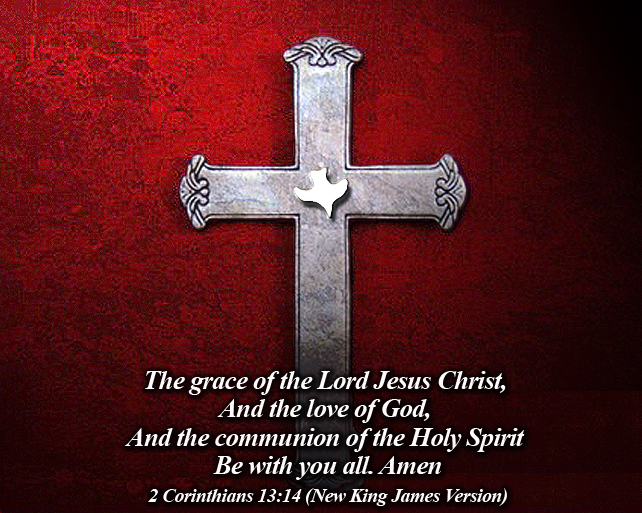 The grace of the Lord Jesus Christ, and the love of God, and the communion of the Holy Spirit, be with you all. May the Lord Jesus Christ's good will, God's love, and the Holy Spirit's presence be with all of you!